Tis the season for pumpkin everything! 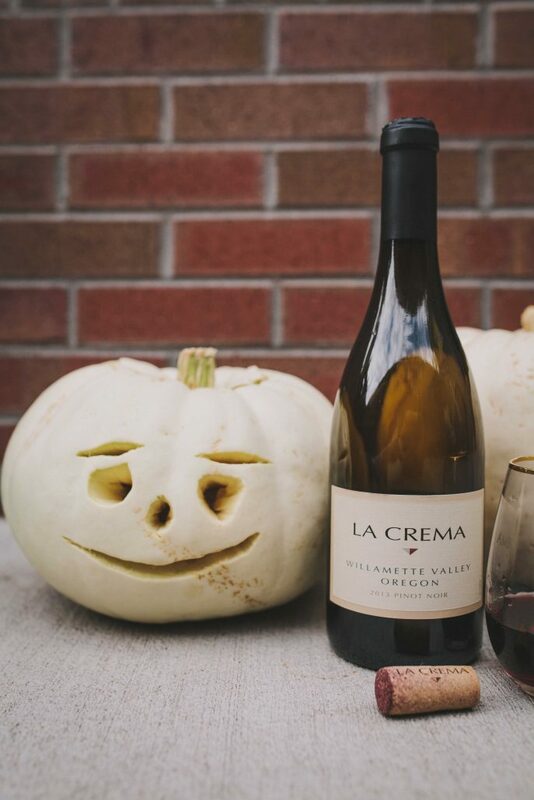 It’s almost Halloween and the perfect time of the month to host a pumpkin carving party. 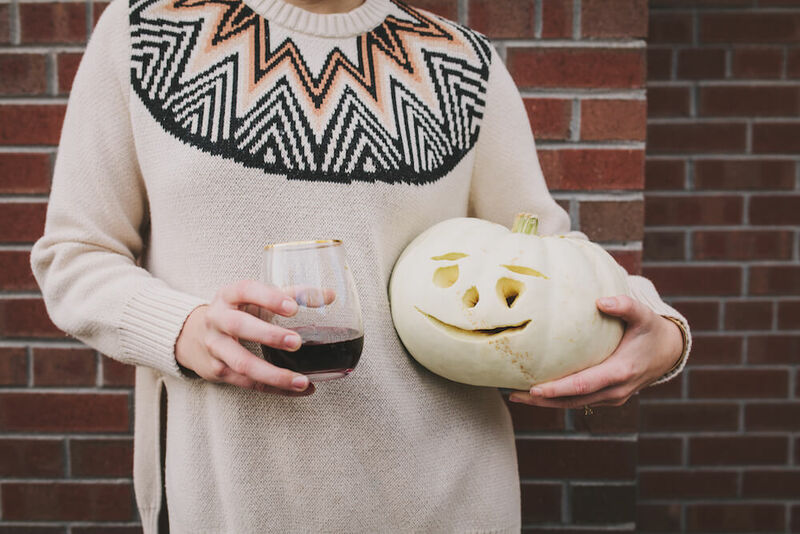 Who says pumpkin carving parties are just for kids? 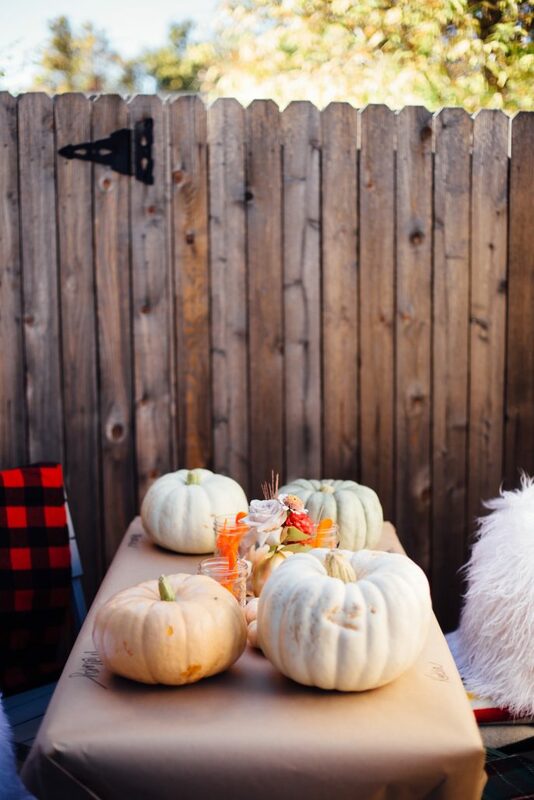 With a La Crema stocked bar cart and multi colored pumpkins, this party is a great way to gather your friends and get ready for fall. When hosting this pumpkin carving party, I decided to glam it up a bit since there’s no reason this messy activity can’t be fabulous! Keep scrolling to find all my top tips to host this fun-filled evening. 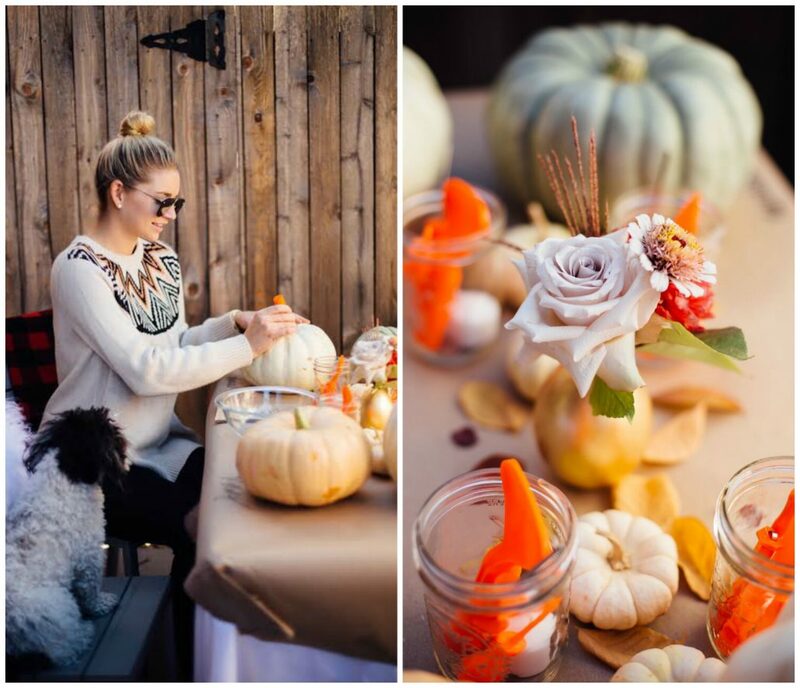 Using craft paper, cover the table you plan to have everyone seated at for carving. I highly recommend doing this outside, but if you don’t have outdoor space, put down craft paper on your floor as well for easy clean up. On each chair place blankets and pillows to create a cozy atmosphere for guests to stay warm. 2. 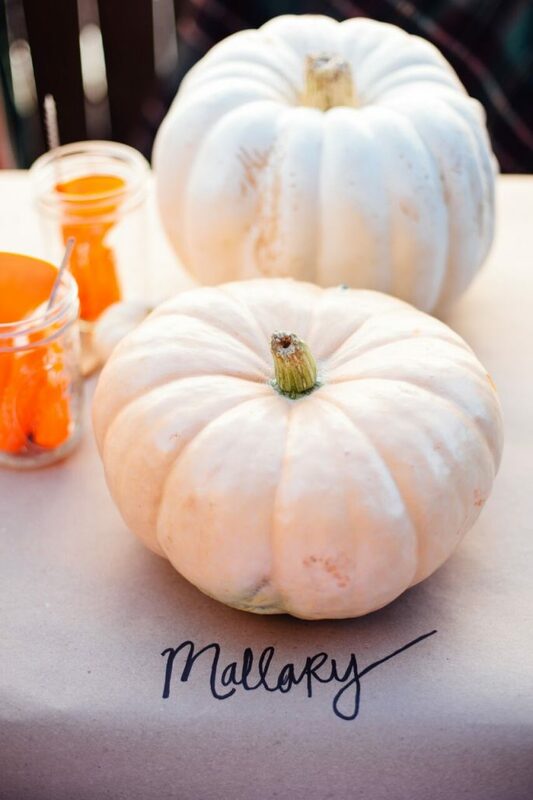 On the craft paper write each persons name as their “place card.” Set out mini pumpkins (which can definitely be used for decorating too!) and flower arrangement in a bud vase. Pick fall colored flowers like deep reds and oranges. 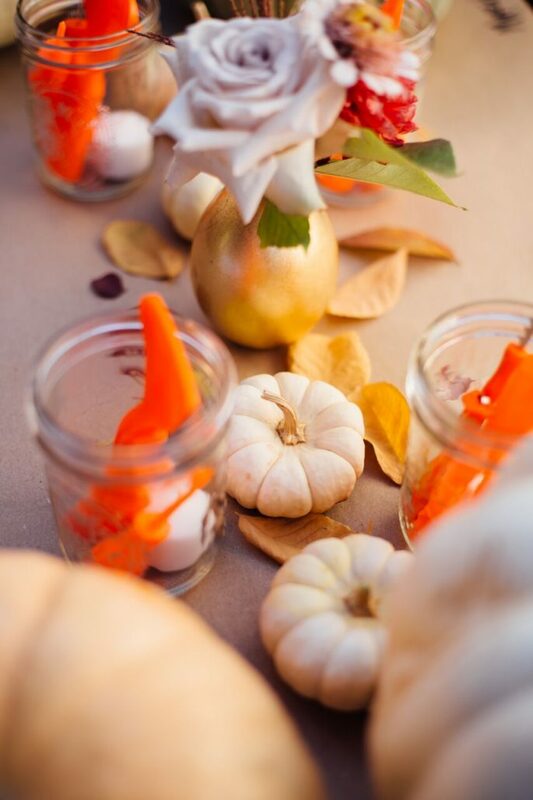 Find leaves to spread along the center of the table for extra decor. 3. 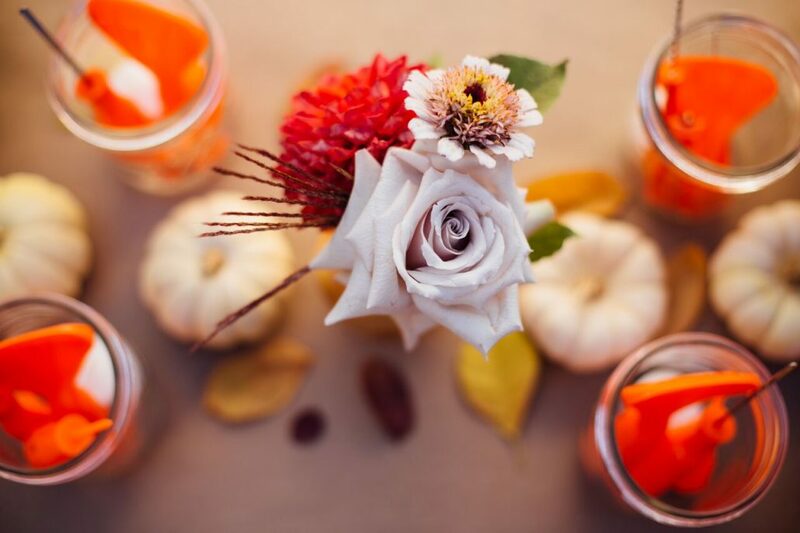 In medium sized mason jars, fill each one with carving tools (an easy buy are the bright orange ones from the grocery store) along with a tea candle. 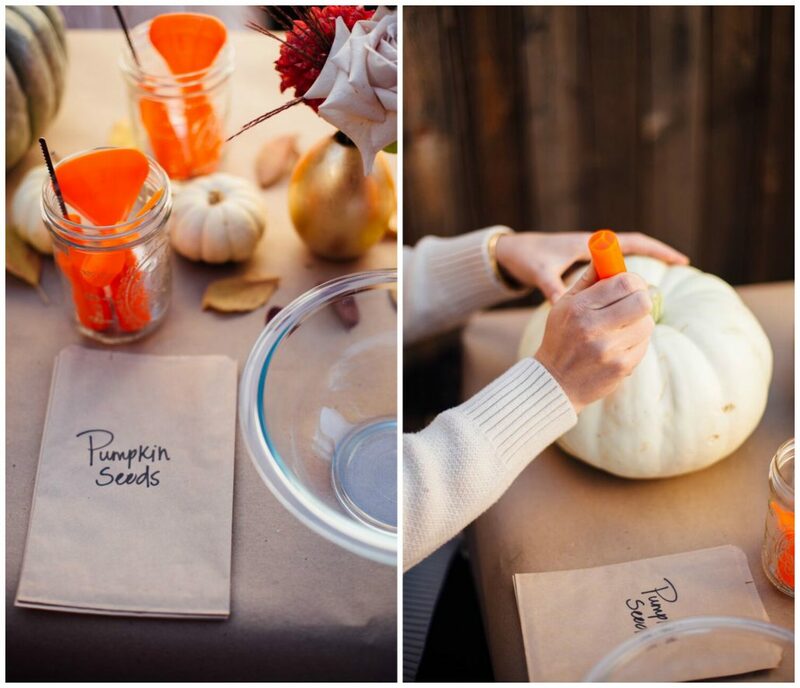 Using brown paper bags, label each one “Pumpkin Seeds” and scatter them on the table for guests to fill with their pumpkin seeds to cook later. Also, set out an empty bowl to put the excess pumpkin guts in. 4. 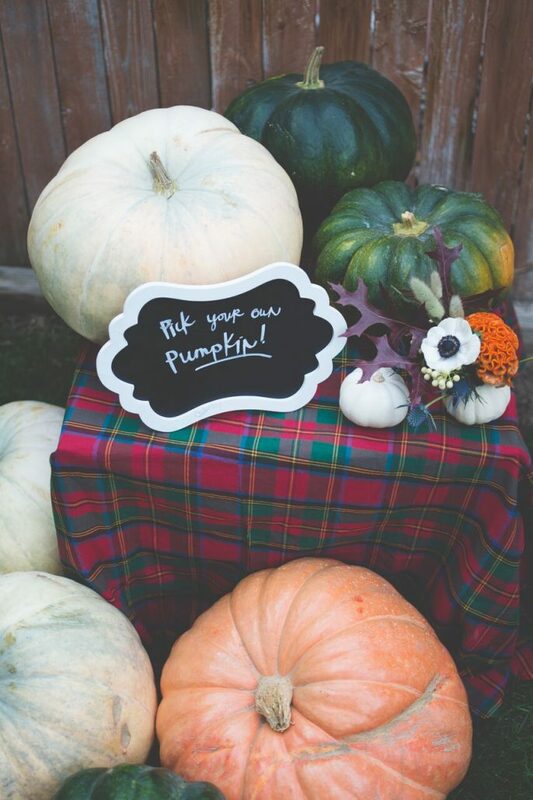 Place a selection of pumpkins in an area for guests to pick their own. I love a variety of colors like white, green and a lighter orange. 5. The most important element for any party is a bar, obviously! 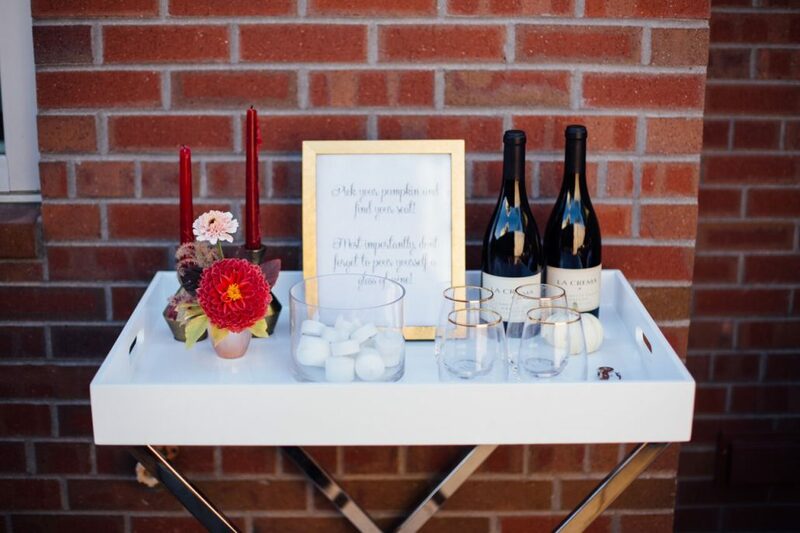 Set out a bar cart with glasses, wine, an opener and some light décor, plus a bowl of extra tea lights. If you don’t have one, a small table works too. For this party, I poured La Crema Willamette Pinot Noir. 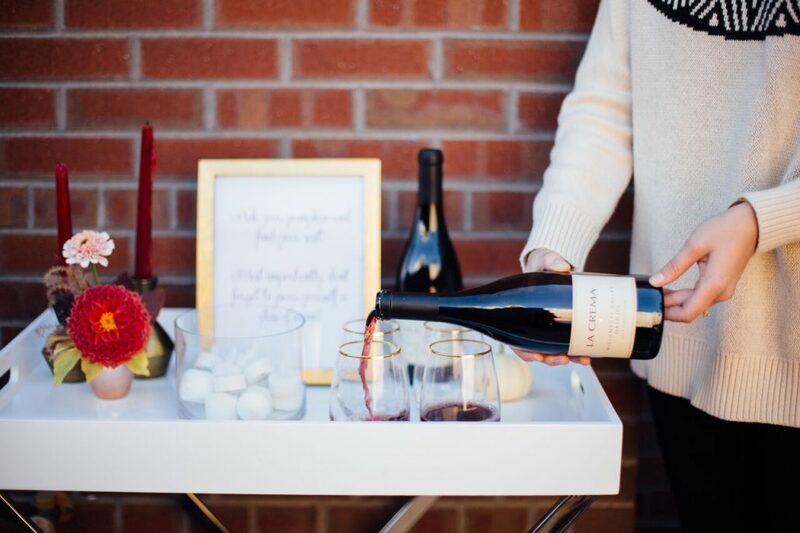 It’s a perfect Pinot for fall with its delicious earthy and floral notes. 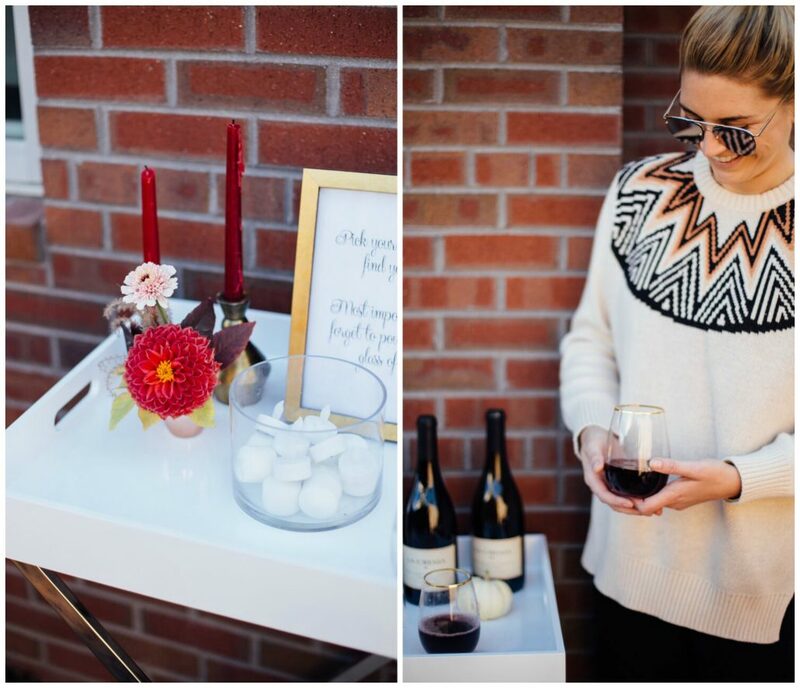 It’s my current favorite wine for fall! Having everything available also makes it easy for guests to help themselves.